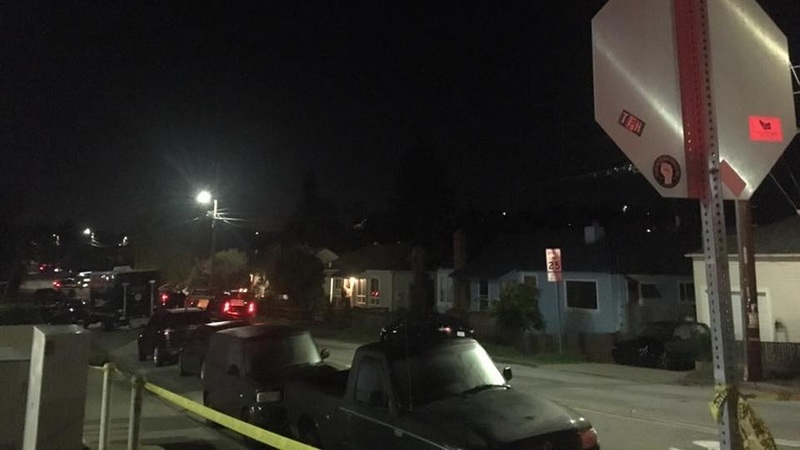 CASTRO VALLEY, Calif. -- A man killed in a possible drive-by shooting in front of his home in Castro Valley on Monday evening was identified today as 37-year-old Caesar Plascencia, according to the Alameda County Sheriff's Office. Deputies responding to reports of gunfire in the 4100 block of Wilson Avenue near Redwood Road at about 6 p.m. found Plascencia suffering multiple bullet wounds, according to the sheriff's office. A friend was administering CPR when deputies arrived. Plascencia was treated by medics, but was pronounced dead at the scene. So far no suspects have been identified and investigators have not determined the motive for the shooting, according to the sheriff's office. Detectives canvassed the area on Monday looking for witnesses or surveillance video and evidence technicians combed the shooting scene for clues.